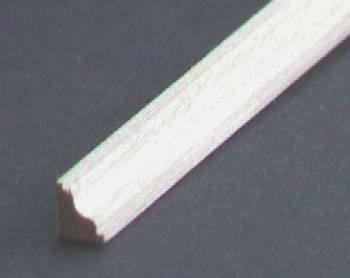 1/24th scale Wood dado rail, also known as a chair rail. 4mm high x 2.5mm deep. (5/32" x 3/32"). Supplied in 22.8cm (9") long lenths. A dado rail is a type of decorative moulding fixed horizontally to the wall around the perimeter of a room.